Kountry Kraft sits in the sprawling countryside of Newmanstown, Pa., producing custom cabinetry and casework for every room in the home. What began in a four-car garage in 1959 is now a 96,000-sq.-ft. factory with about 100 employees. And it all started with a Christmas gift in 1958, when Elvin Hurst Sr. got a Craftsman table saw from his wife, Helen. Two of the Hurst’s children, Elvin Hurst Jr. and Dolores (Dee) Hurst-Funk, purchased the business in 2003. But the founders remain actively involved. Hurst Sr. talks proudly of his entire family, particularly of his wife. He and Helen met when they were 12, started dating at 17 and got married at 19. 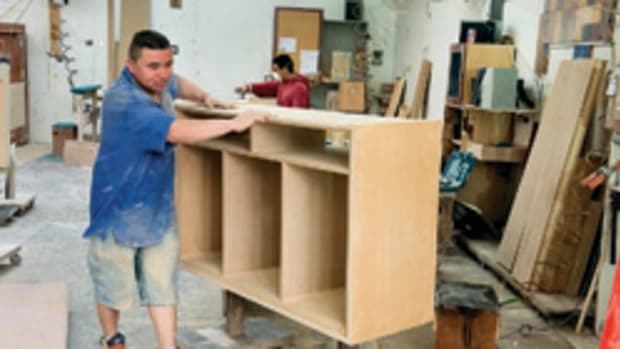 They started the woodworking business at 21 and had four children to raise as the business built momentum. If it hadn’t been for her, there wouldn’t be a Kountry Kraft, he says. “My dad eventually got off the farm and in 1957 started an electrical business. The building and housing markets were good then and he had three contractors he worked for. I farmed and did some electrical work part-time. 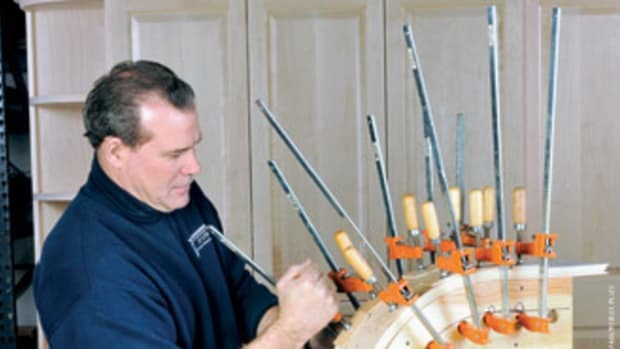 I had a passion for woodworking and went to work for a contractor,” he says. 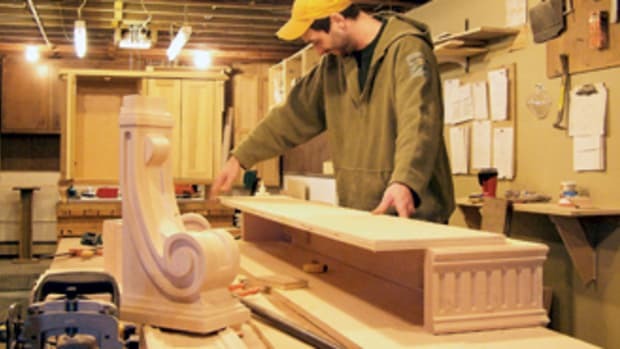 With his new table saw, he began making cabinetry and furniture for family and friends. 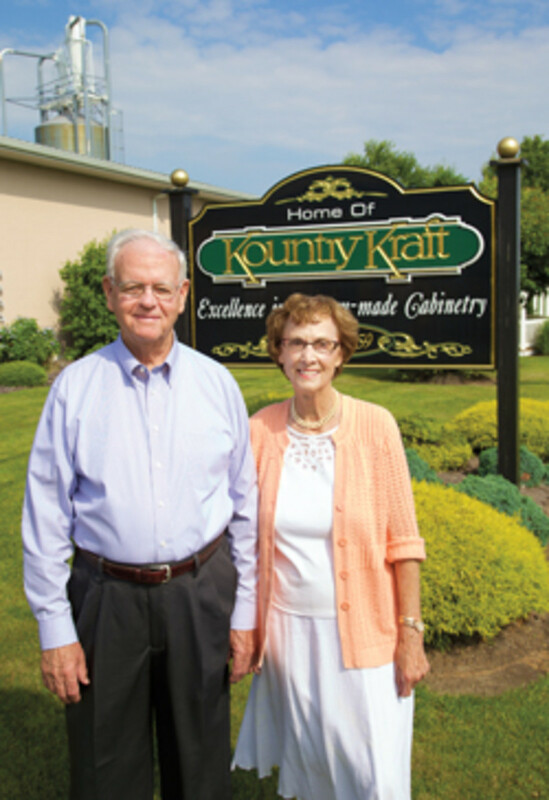 When the demand for his creations grew, he and Helen launched Kountry Kraft with the help of his parents, Reuben and Mary Hurst. The Craftsman saw remained in use for the next 18 years as the company expanded. It has since been refinished and placed in the building’s lobby as a testament to hard work for all visitors to see. The business began with a fair number of residential clients within 20 miles of the shop. The next step was to tap into the local home remodeling shows. The booth featured pictures and signs explaining that the company could do it all: kitchens, baths, offices, bedrooms, entertainment rooms and more. “I wanted to let people know I was here and what we do. We didn’t just make furniture and cabinetry; we designed, finished, delivered it and installed it, too. It was a full turnkey company. 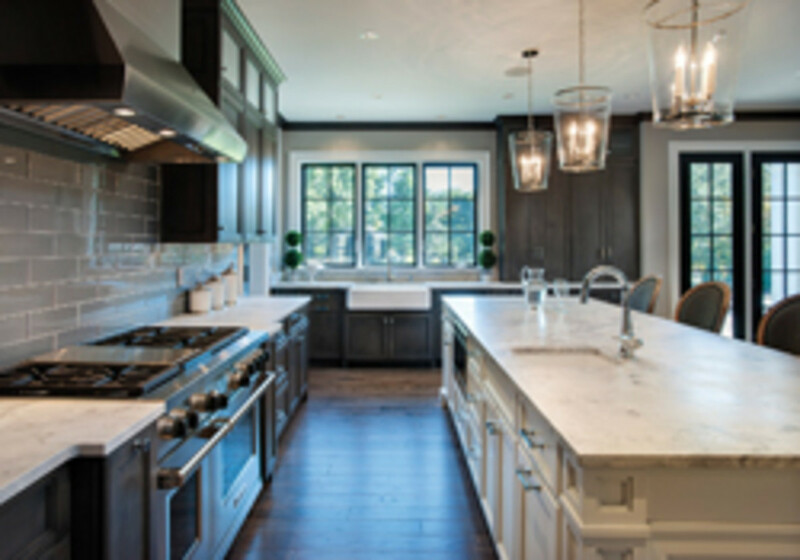 We like to call it Kountry Kraft: Excellence in Custom Cabinetry,” Hurst Sr. says. Gradually, the company grew its client base throughout Lancaster, Lebanon and Berks counties. Though thick and thin and under all circumstances, the Hursts were determined to keep their business alive even when challenges cropped up from left field. The ebbs and flows of the economy were a prime example. Business ran smoothly through the 1970s, but the ’80s were rough. Layoffs were necessary, dropping the employee count to 13, and it was a struggle to survive. Employee betrayal was another setback for Hurst at one point and a real heartbreaker for him. He and his wife and children went on their first big vacation to Florida, only to call home and hear from their secretary that company members were surreptitiously meeting in Hurst’s conference room with bad intentions. 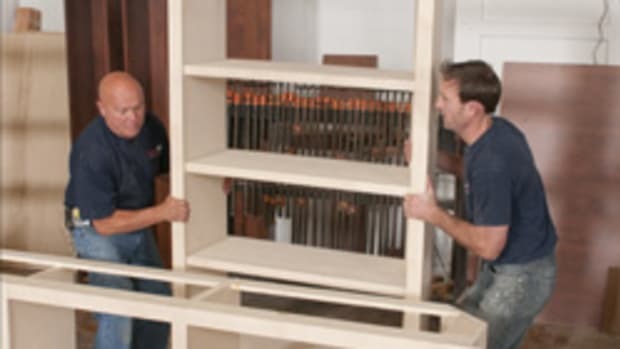 “I’ve had a lot of people leave me and start their own cabinetry business. There are at least five companies out there that started off of me. They’re all people that worked for me and decided they’d make more money doing things their way. That’s OK, that’s fine. But there were a couple of employees who ganged up on me. We were away and they were establishing their own business under my roof,” Hurst Sr. says. Helen filled in, explaining the family had to pack up and return home early, as the company’s interests came first since that was how they paid for their vacation in the first place. Those examples are all just part of the business game, however, as Hurst Sr. puts it. They’re nothing compared to the one true tragedy the family faced, which was losing a teenage son, Jere Lee Hurst, to an automobile accident. It’s not something they care to dwell on, but they gained a certain strength through grieving that has helped them carry on. 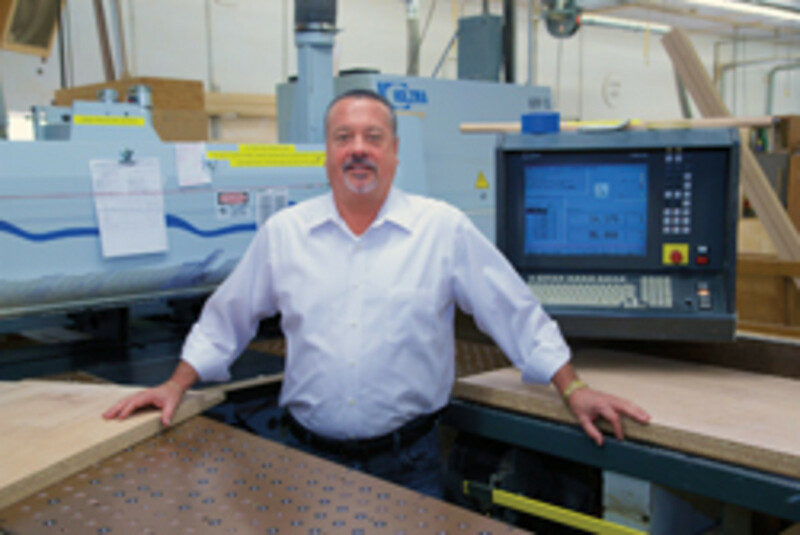 Kountry Kraft has approximately 60 dealers in more than 20 states to help sell its products. The company still handles most local business within a 70-mile radius, including Philadelphia. But the dealer network is strong along the East Coast and growing in the Midwest, Washington and Southern California. 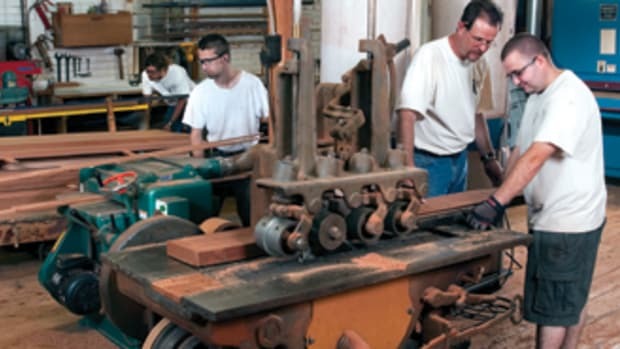 From the front-end staff and customer service department to the design engineers and craftsmen in the shop crew, the company has always been manned with qualified individuals that has left a positive lasting impression on new and returning customers. 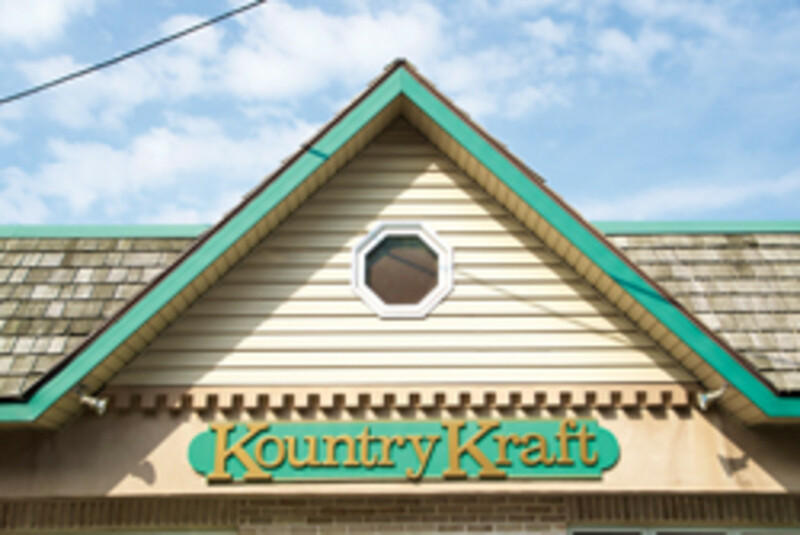 “Our dealers tell us that one of the most valuable assets of Kountry Kraft is its people. 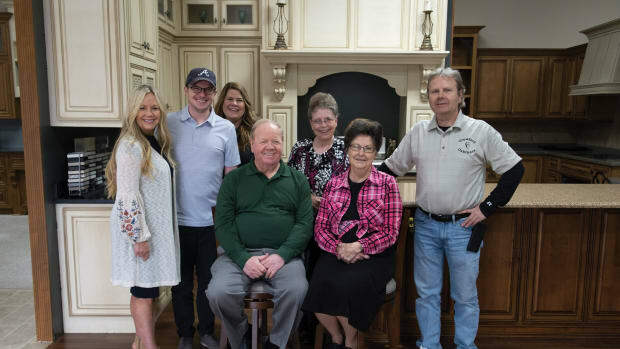 The company is staffed with a team of hardworking employees who are skilled in the art of custom cabinetry and believe in the Kountry Kraft mission,” Hurst Jr. says. The younger Elvin, whose father refers to him as “Junior,” serves as company president and oversees the entire production end of the shop, from machinery maintenance and purchases to planning and coordinating projects with shop superintendents and foreman in charge of different crews. Dee is CFO, in charge of the front-end staff and managing the company’s maze of on-site showrooms that depict the company’s diversity of styles. The impressive production area is just beyond the doors of the showroom and office areas. 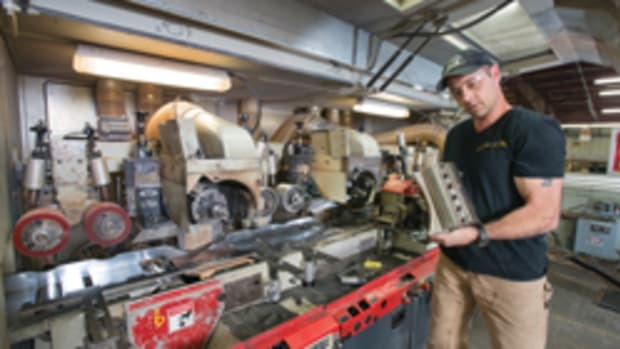 From part cutting on sophisticated machinery, to fabrication in assembly areas on stationary units and conveyors, to a multifaceted finishing department and a discerning quality control inspection team, it all happens in-house. Items are made from a variety of hardwood materials, including walnut, maple, oak, cherry, hickory and anything else the customers specify. The facility has expanded over many years with 11 additions, the biggest added in 1990, which included ovens and a tow line conveyor. They added a shipping warehouse and inspection station in 1995. The original showroom was part of the foyer area adjacent to the office and has since been transformed as well into a series of rooms throughout the front area of the building illustrating the many cabinetry and furniture styles offered. 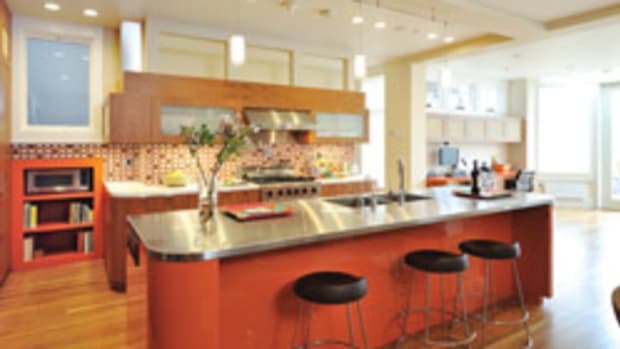 The founders had a good laugh when the discussion turned to how kitchens have changed through the years. But Kountry Kraft has always been willing to change with the times. “The old saying is give them what they want and they’ll come back for more. We’re not making kitchens for us. We have to always remember who we’re working for. It’s all about the customer and making the customer happy,” Hunt Sr. says. Keeping that advice in mind, the two current owners are determined to keep the business going steady and recession-proof. “Back in the recession, things were tough. We got hit in 2009 and started feeling the downturn. We were somewhat more fortunate than a lot of companies and we’re still trying to build that back up. Plus, we have a lot more competition now from the Amish and other little family-owned shops,” Hurst Jr. says. They have hired an outside marketing company to help with getting the company name out and promoting new accounts. The next generation of Hurst family members has already begun to work in various departments. Tyler Hurst, Elvin Jr.’s son, is currently working in sales and has done a variety of jobs within the company since the age of 14. Dee’s son Austin, age 15, works in different departments during the summers to learn the various aspects of the business. 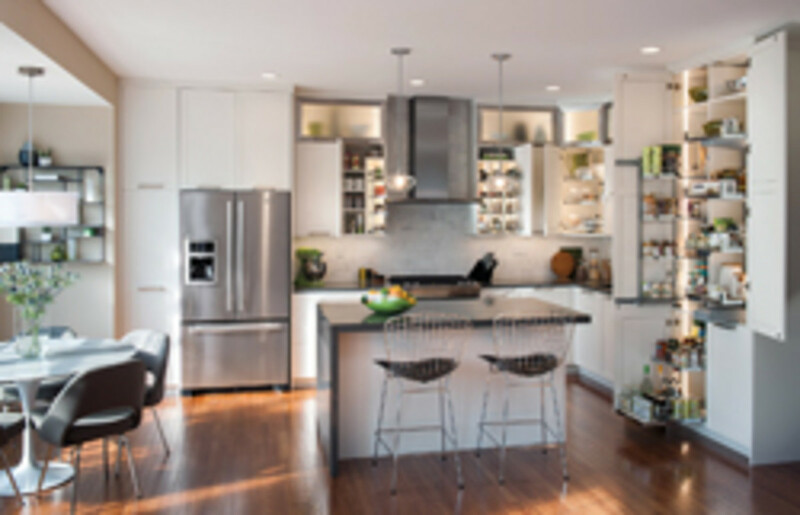 “The key to success in custom cabinetry is commitment to quality. 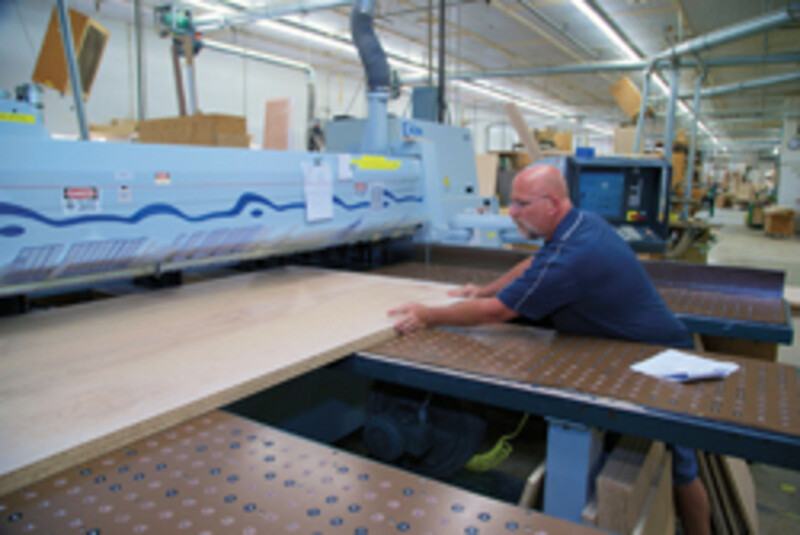 We remain committed to our core values: craft the highest quality custom cabinetry products, deliver on schedule every time, price it fairly and be honest, genuine and friendly,” Hurst Jr. says.